(18/P019) TRENTON – The Department of Environmental Protection is marking nearly two decades of efforts by the state’s Watershed Ambassadors Program with initiatives this week to bring the importance of protecting water quality to students and residents. This effort, coinciding with national AmeriCorps Week, brings together current AmeriCorps members and alumni to share their passion and commitment to environmental stewardship with a new generation of volunteers. The DEP’s Watershed Ambassadors Program, now in its 18th year, focuses primarily on environmental stewardship and education to raise awareness about water-quality and watershed issues. The program connects Watershed Ambassadors, typically young adults, with partners in each of New Jersey’s 20 watershed management areas. AmeriCorps, also known as the domestic Peace Corps, is a national service initiative that began in the early 1990s. Nationwide, 80,000 AmeriCorps members engage with the communities they serve to address a variety of issues in addition to environmental stewardship. Rain barrel workshop, 10 a.m., Atlantic County Utility Authority Environmental Park, 6700 Delilah Road, Egg Harbor Township. Rain barrel workshop, 1:30 p.m. to 3:30 p.m. New Jersey Audubon-Scherman Hoffman Wildlife Sanctuary, 11 Hardscrabble Road, Bernardsville, Somerset County. The 27th Annual Trash hunt, 8 a.m. to 2 p.m., Cumberland County Improvement Authority, 2 North High Street, Millville. The DEP’s Watershed Ambassadors are also holding various programs to engage schools and organizations by using a watershed model to conduct presentations that educate about the impacts stormwater runoff has on waterbodies. 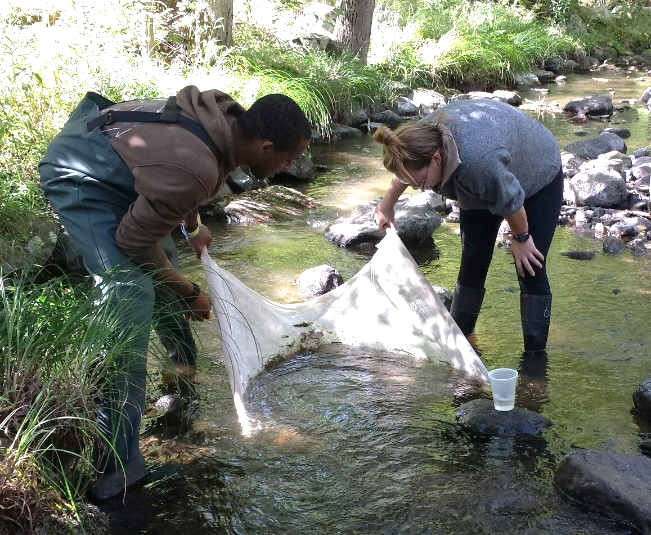 The program will dispatch students to streams for field work on learning how to determine stream health. Watershed Ambassador volunteers serve full time, completing 1,700 hours of service over 10 months. The program starts with two weeks of intensive training in September. Volunteers graduate the following July, providing them with experience they can use in their careers. Created in 1993, AmeriCorps is a part of the Corporation for National and Community Service, which engages more than 2 million Americans of all ages and backgrounds in service each year. Nationally, AmeriCorps members help disaster-stricken areas recover; develop affordable housing units for those living in poverty; high school students prepare for college; provide fresh, local produce to schools to help reduce childhood obesity rates; assist veterans and their families to apply for benefits and access resources. 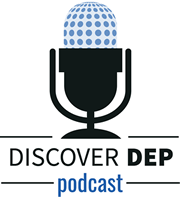 For a DEP Podcast interview with Amanda Lotto, current AmeriCorps New Jersey Watershed Ambassador Program manager and former Watershed Ambassador, Lauren Cromie, Ambassador for the Mullica River watershed, and Isabella Castiglioni, Ambassador for the Rancocas Creek watershed, click the logo above.